Comportement plus agressif, plus de direction, adapté à la terre. 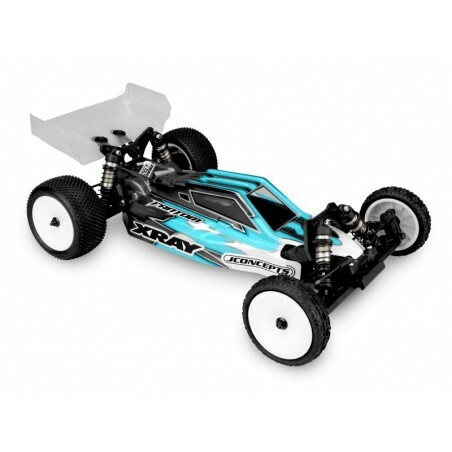 The F2 body is a drop fit for the popular XRAY XB2. Cut-lines are included on each side of the body to accommodate stand-up and lay-down transmission layouts giving all out versatility. 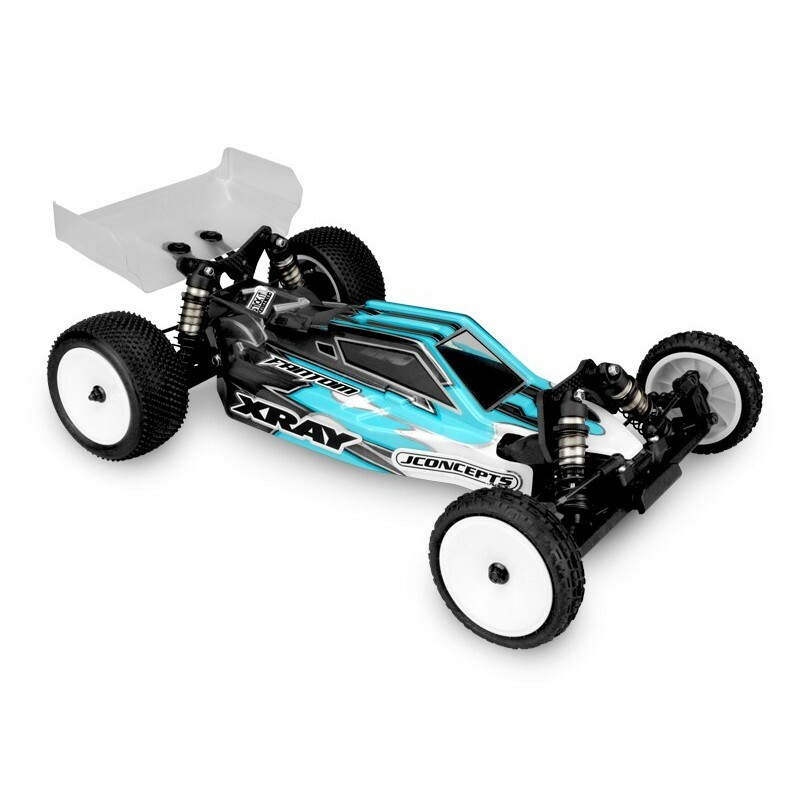 With the evolution of race tracks, complicated circuits combining more aggressive jumps and extremely high-speed corners, JConcepts incorporated many features which provide several benefits in the most critical situations. Increased windshield angle provides a steady force upfront during mid-flight wind gusts on large jumps. Forward cab placement changes performance / visible bias which helps steering rotation in low traction corners. NOTE: All bodies are sold clear and are shown painted for advertising purposes.